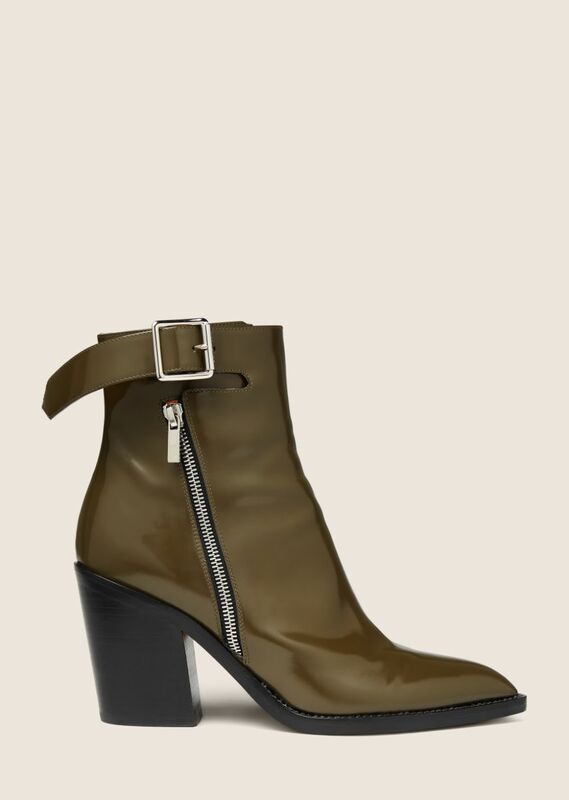 Stacked heel ankle boot in olive shiny calf leather with belted cuff. Pointed toe. 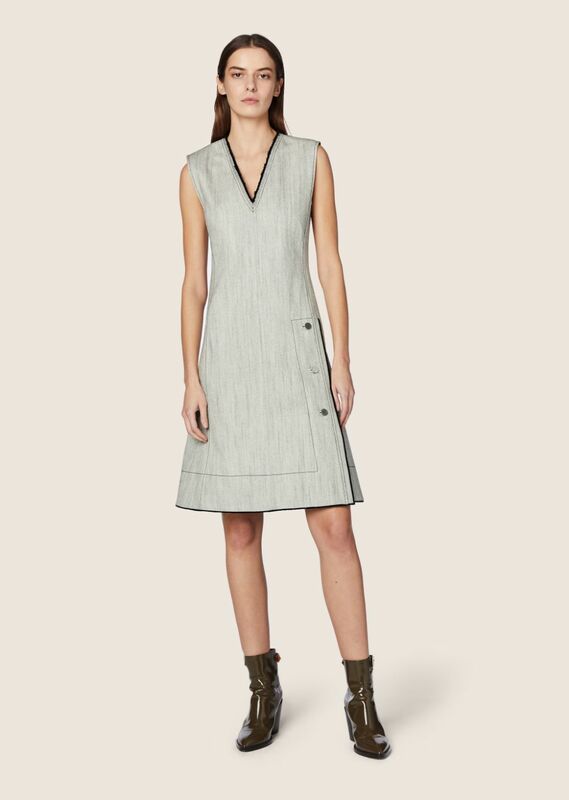 Silver-tone side zip closure and pin buckle detail at belt cuff. Black block heel. 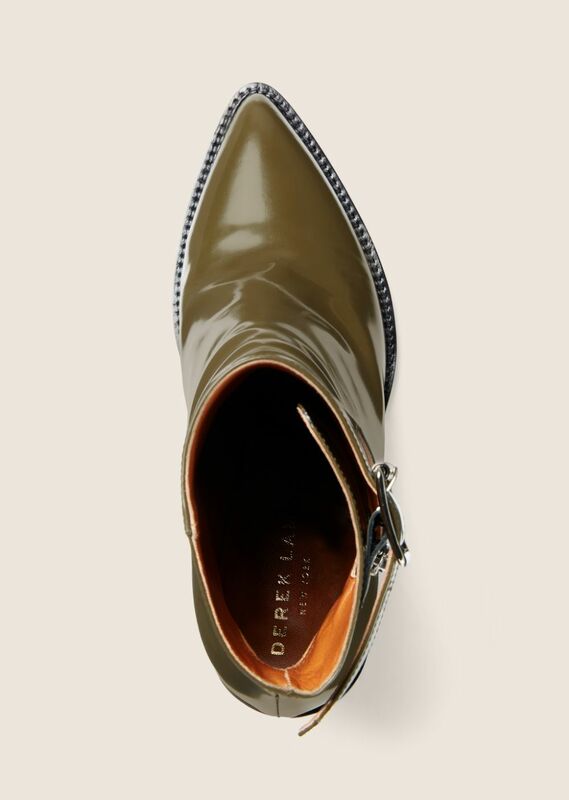 Leather sole, insole, and lining. Handmade in Italy.